But having been told that one word reviews aren't sufficient, how about this: Pianist Spike Wilner's disc La Tendresse is pure joy. Wilner can probably best be described as an old soul occupying a modernist corpus. His foundations in ragtime and stride piano inform the music heard here, but like Thelonious Monk, he uses the tradition as the architecture for the anatomy of a modern player. Even his take on "Crepuscule With Nellie," the classic Monk expression of hesitation and suspension, is delivered as a tender blues. More importantly, he delivers it without the cartoon clichéd dawdling. and bassist Joey Saylor chase, and then are chased by, the exuberance of Wilner's piano. He is also quite comfortable carrying the day unaccompanied. As with his previous solo recording Live At Smalls (Smalls Live, 2011), Wilner performs several solo pieces here. The old Carol Burnett sign off tune "I'm So Glad We Had This Time Together" is rationed with the appropriate melancholy, and Harold Arlen's "If I Only Had A Brain" bounces and frolics with a campy stride fitting the dopey scarecrow. would, interlacing a subtle and intellectual swing with a quasi-classical approach. The highlights of this disc might be Scott Joplin's "Solace" and Bernice Petkere's "Lullaby Of The Leaves." Both tracks beg for comparison to master musician Bebo Valdes' playing. With "Solace," Wilner mixes his ragtime approach with Valdes' Cuban-folk take on American jazz. There is much rejoicing to be had—or heard—here. La Tendresse; If I Only Had A Brain; Solace; Silver Cord; Always; Lullaby Of The Leaves; After You've Gone; Le Sucrier Velours; Little Girl Blue; Crepuscule With Nellie; I'm So Glad We Had This Time Together; Happy Ending. Spike Wilner: piano; Dezron Douglas: bass; Joey Saylor: drums. 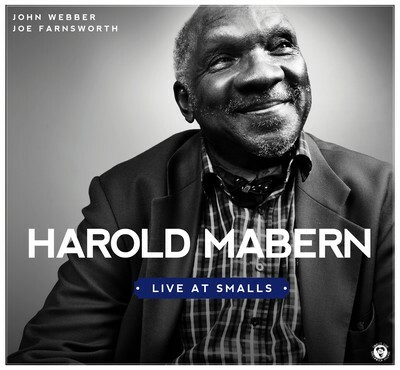 First up is the veteran pianist Harold Mabern, with Joe Farnsworth on drums and John Webber on bass. 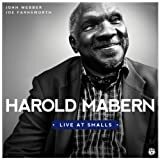 Harold Mabern Trio "Live at Smalls" (SmallLIVE 2013) features a 77 year old pianist who has never gotten the full recognition he deserves for his catalogue of work but who is one of the truly outstanding veterans of this era, alongside, for example, a luminary like Kenny Barron. He dropped from the radar in the 90s and early 2000s when most of his catalogue was released on Japanese labels (and they are great CDs if you want to get them), but has come back strongly in the U.S. recently with "Mr Lucky" (High Note 2012) and now this outing. Seven tracks fill the CD with the kind of good old fashioned, driving mainstream jazz sound, sometimes straight ahead, sometimes soulful, sometimes bluesy, and always entertaining. They stretch out on some rousing great tunes like "I'm Walking" and the "Road Song," boogie on "Boogie for Al McShann", and do up "Sesame Street" very cleverly. First rate music from a first rate trio. How kind of keyboardist Larry Goldings to share such intimate music. A celebration of Americana in such tracks as a baroque “Take Me Out to the Ballgame” and a rococo “Beautiful Dreamer,” In My Room works subversive magic on other levels, too. Goldings, a Boston native, launches this sneaky album with the title cut, one of Brian Wilson’s most personal and lovely compositions. But he doesn’t restrict his affection for Americana to covers: Originals like “Crawdaddy,” swaggering with rubato, are redolent of New Orleans, and “All My Born Days” is a brief, embracing ballad. Above all, In My Room is warm. Although Goldings is best known for his organ work, his pianism also is startling, as is his taste. His eclecticism spans Abdullah Ibrahim’s “The Wedding,” Joni Mitchell’s “All I Want” (treated with austere freshness) and, attesting to the depth of his knowledge of classic British rock, the gorgeous “A Rose for Emily,” a haunting Rod Argent tune from the Zombies’ 1968 masterpiece, Odessey and Oracle. Goldings peppers this deceptively easygoing CD with “interludes” of mildly prepared piano; some twinkle, some shimmer, all delight. He caps this solo piano disc with “Here, There and Everywhere,” treating the Beatles’ beauty as a pastorale. This sweet album doesn’t rock, though it transforms rock. It is leisurely but never ponderous. Goldings always brings out the melody, letting the listener in on his emotive creative process along the way. Castaways - a beautiful CD unusual in its coherent combination of pieces played by a trio with a special feeling for atmospheric depth. Bill Carrothers and friends play with precision and nuance, creating an excitingly coherent group sound. Music that renews and reinvents, performed with unusual warmth and intimacy.